His scholarship application experience inspired his Youth Leadership Academy project, a 12-week project based leadership development programme organised by McKinsey & Company Malaysia. Working together with 4 other teammates whom he met at the programme, the team created a website featuring success stories of scholarship recipients in Malaysia. “Many people underestimate the complexities and difficulties of scholarship applications and looking up for information on the internet can be stressful. This social entrepreneurship project offers solutions to aspiring Malaysian scholars. Our website serves as a one-stop learning centre for tips and tricks of scholarship applications,” explained Tommy. “The response for the website has been good as we have received about 40 stories so far. I am happy to see the project coming to an end and the website is now accessible via www.scholarst.com,” said Tommy. Besides the success of their work, the process has been enlightening as the team meet up with McKinsey consultants and CEOs of Maybank, Teach for Malaysia and Bank Negara to seek advice for their project. Tommy believed that his time at Sunway College helped shape much of his interpersonal skills such as teamwork and leadership needed for university and scholarship applications, and the Youth Leadership Academy project. With a black belt in Taekwondo, he believes that interpersonal qualities are as important as academic excellence. He was also an International Student Ambassador at Sunway College, which helped equip him with skills to mingle with people of diverse backgrounds. 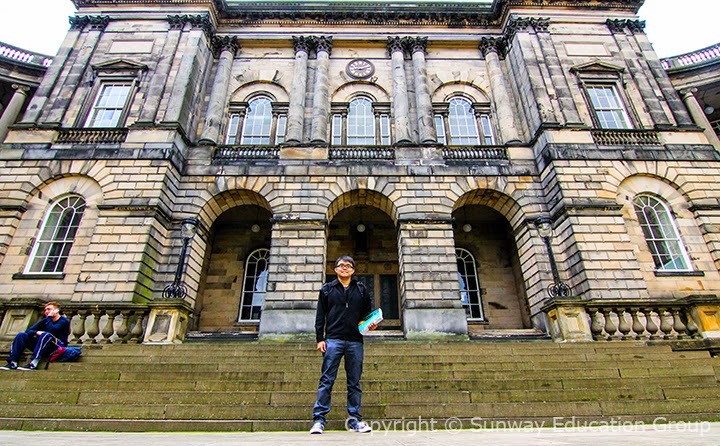 The aspiring actuary is excited to begin his higher education abroad. He already has a plan in mind to take various Actuarial professional examination papers whilst pursuing his degree.